300/270 WSM Star of David bullet casing necklace with 16" inch. 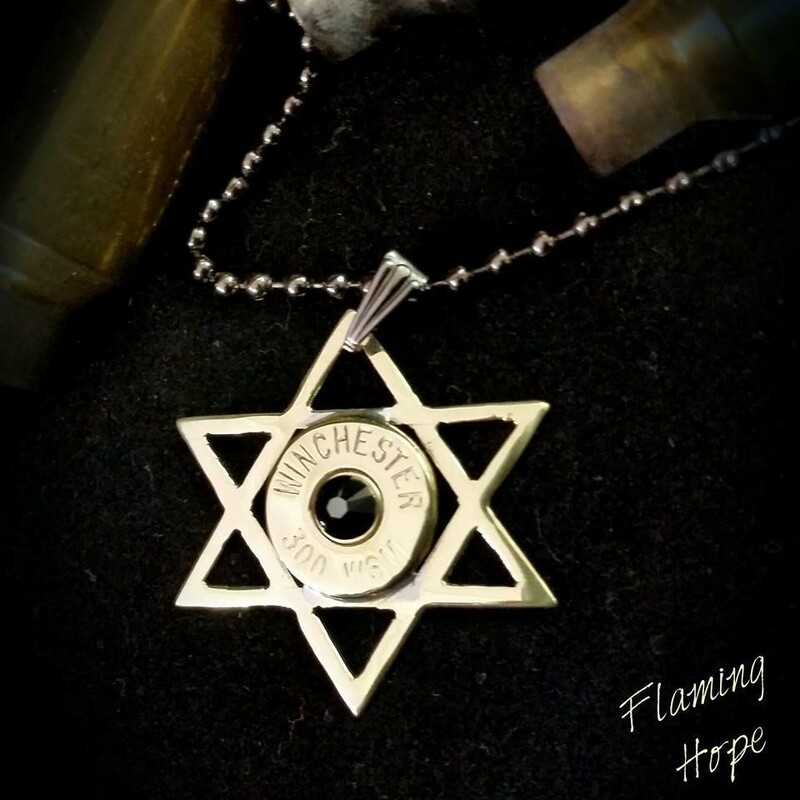 The Star of David is handcrafted from a 270 WSM Winchester bullet casing. The outer star is hand crafted from the casing shaft with the base of the casing placed in the middle of the star.